Cha Woo-Kyung (Kim Sun-A) works as a child counselor at a children’s center. Her life is perfect. She enjoys her job, she is married to a seemingly loving husband and she is pregnant with her second child. An accident changes Cha Woo-Kyung's life. She faces various incidents and digs up the truth. Drama series takes over MBC's Wednesday & Thursday 22:00 time slot previously occupied by "My Secret Terius" and followed by "Spring Turns to Spring" on January 23, 2019. A special recap episode of "Children of Nobodhy" airs on Wednesday, December 19, 2018. The special recap episode summarizes the story from ep.1 through ep.16. Ep. 17 & 18 will air on Thursday, December 20, 2018. Happyend Apr 23 2019 4:26 am None of all that fight and drama made any sense in the last episodes. The conclusion damaged every single bit of the greatness of this TV series. Good and amazing if you don't count the last episodes and try to make your own ending, the punishment that the real bad guys deserve. WISHY Apr 11 2019 12:16 am i wish there will be season 2 for this. because we need another ending for the drama. Please dear Director and Writer, make it happen. Yune Apr 01 2019 1:01 pm Love this drama except for the ending. Children of Nobody Mar 28 2019 9:33 am Great storyline and characters. The acting was really well done. This deserves more recognition. Such a rare but nifty plot. Glad I came across this drama. Really underrated. Alex Jan 28 2019 6:53 pm The drama is good and watching it was like a roller coaster ride...but...wth was with the final episode!? The final episode was full of crap. It's like all the characters went crazy. How can she forgive that witchy murderer stepmom of hers so easily... How could she stop the anger!? That woman was pure evil and she didn't feel any sort of remorse for what she did. That old hag didn't even love her stepdaughter even though she was devoted and obedient. It made no sense cause both her dad and stepmother were cold blooded murderers without shame and she just let her continue living her life cause she couldn't judge her. I was like, wth... She is a freaking murderer and shows no remorse, she is evil!! She should be judged! Was the director or scriptwriter drunk while they made the last episode cause it's dumb!! And the female police officer letting her stepbrother beat her like that... Cause her mind says no but her body is used to fear and crap... Ughhh, do dumb!! It's like telling everyone that we are so damn evil for wanting to punish evildoers or escaping a life of abuse. I'm really angry and dissatisfied with the ending but also sad cause this drama was very good and promising and the last episode ruined everything. red cry Jan 24 2019 7:02 am for those of u wondering if u shld start this drama. my ans to u is a resounding YES!!!!!! only if u dont mind watching a drama with zero love story and it being solemn throughout. The length of the drama was just right for me and i actually finished the drama without getting sick of or bored of halfway which happens q often for me when i watch other dramas. Acting was great, nothing much to complain about. The most praise worthy acting for me was Hakyeon as Eun ho. Hes one of an eg of idols being good actors as well, even better acting than some actors. I really felt for his character. But, having watched Lee Yi Kyung in waikiki, i would say his acting was more natural there, i felt he was more himself in waikiki. but the 2 roles he played are so different so that kinda explains. still, it was natural enough and i had no problems finishing the drama. Was a good one!! Its been long since i found a drama that I can see through the ending. Now, back to a gruelling search for the next drama! Marlana Jan 23 2019 7:40 pm Great mystery drama. Give it a go. You won't be disappointed. thegreendress Jan 16 2019 9:52 pm why do i feel that i need more of this kind of drama. its just that in the end everything is in their place and normal again. so sad that i want the episode to extend more? Me Jan 16 2019 4:03 pm The staggering amount of thrill and chill in this drama is kinda unhealthy but just adequate. I like that it built much awareness that child abuse is indeed a serious problem and the victim of domestic violence have to be saved, despite in reality saving them is not easy. At least, this drama has brought a fresh story and plot twists, which put a lot of enlightening ideas on how cruel the world might be. Props to the writer and all the actresses and actors which insanely nailed this drama with their class act! The MVP is Woo-Kyung tho! She acted flawlessly, and how she portrays the emotion was just incredible! R Jan 15 2019 1:26 am I had to watch this because of Nam Gyu Ri and I was not disappointed! She’s one of my favorite actresses, she’s so gorgeous and talented I’ve been waiting for her to be casted in a show or movie. This show is a gem. I’ve seen a lot of complaints about this drama being too dark, with lack of romance. But I think its nice to watch something different. I was hoping for the two cops to bond a bit more. The writing is a masterpiece and the acting from all the actors is well worth the watch. It’s so twisted and has you guessing till the very end! MissA Jan 12 2019 4:07 pm OMG! This drama is a masterpiece. I fell in love with it from the first episode. So many mysteries and everything is made in a way that will keep you hooked until the end. I'm so sad that it will end soon cause I alsolutely adore it. Children of Nobody deserves some awards and those child actors are so talented. For those of you who love serious, mature, dark and mysterious korean dramas, this will be perfect for you to watch. lina Jan 12 2019 4:59 am What a great drama! Just great! From first episode till recent 30 it's so exciting to watch. Writer did a excellent job the same director and of course cast. I can't wait for last final episode. Really poor children, there are so many emotions in this show. Jane Jan 10 2019 4:01 pm Damn...I cried like no tomorrow for episode 30...What a revelation. Junjun Jan 09 2019 7:45 am I currently watching episode 11 and doesn’t it obvious the killer is the cha woo kyung’s psychiatrist yoon tae joo? Jin seokii Jan 07 2019 12:57 am Well I hope Red Cry is Eunho. He fitted it so perfectly. bitter Jan 05 2019 9:22 pm I hate watching this drama as it was so intense. I keep on seeing N as the RC. From the ep of 24 the good person mask and the website has been deleted in Song Ho Min's office, and N is pretty much good in IT so i would assume N is RC and keeping all of his identity by using Song Ho Min. As you can see N has been abused from head director and even the director when he was a kid and i am pretty sure he would have grudge onto them. He becoming RC as he has been traumatised by the abusive director and does not want any of the kids to be suffered as what he has. That is what my opinion. kiki Jan 04 2019 8:56 pm this is one of best k drama i've ever watch. great story, nice cinematography, great acting (kim sun ah & nam gyu ri)... enough to make you captivated. it's not a typical k-drama, it has the vibe of hollywood tv series. kim sun ah & nam gyu ri makes me surprised. they're so different from their characters in kdrama before. especially nam gyu ri, i never imagine she can be so cool as a cop. K Jan 03 2019 11:40 pm One of the best. The Koreans surely missed out an amazing drama and those ratings are lies haha. Don't let those low ratings prevent you from watching good quality dramas. Eunho is such a sad character. I just watch ep. 23-23 and I think there's still more story to it? I saw someone's tweet that say he might be sexually abused by the head director and I think it's totally possible, since it looks like he's not a common abused victim.. which make his character even sadder :( Can't Wait For Next Week Already!! Anyway, the story line of this drama seems expected but also unexpected, which is really good! I'm starting to think Red Cry could be.......Yoon Tae-Joo? Kei Dec 28 2018 10:11 am Awesome mystery drama. My opinion CWK is older sister who had the birthday party n green dress as birthday gift. CSK also want the dress and the girls have fought for the dress. Stepmom stand on CWK side and punish CSK too much then make CSK traumatised. Then stepmom blamed CWK for CSK trauma. The blaming also make CWK have mentally abused. This theory seems logic with the plot, CSK hate stepmom but CWK likes her. Stepmom always blame CWK for everything include the cheating husband since the tragedy. So the girl with green dress is CSK. Hanna Dec 28 2018 9:37 am I suspect N is the Red Cry..
Summer Dec 28 2018 8:23 am At episode 20... Possible spoilers alert. My theory: The girl in green dress is CWK. That little boy did pointed out that CWK look like the girl in painting. And i firmly believe that CWK had experienced some form of abuse as a child, seeing how she immediately begged for mercy with her stepmum over something trivial and how, like lady detective pointed out, she's screaming with her whole body. The memory of her receiving the present from her mum is probably what she witnessed, and wished that she's the one who received the present. The statement of her friend is probably due her mistaking CWK for her sister (i.e. its not CWK's birthday party, its her sister's). Or, she received a request from CWK's stepmum to tell her that. That pushing scene is between CWK and her sister... I cant rem if the sister in hospital is older or younger, coz the pushing scene shown was between an older girl and girl in green dress. If she's the older one, then it would be her pushing CWK. Her being in hospital could be another episode of bullying which ended badly for her. CWK said that she got into a car accident after they quarrelled, and thats why CWK felt responsible and guilty... and stepmum blamed CWK for the state her sister is in. If the sis in hospital is the younger one, then another sister whose identity is hidden is the bully. It is likely that she has been bullying CWK for a period of time, and one CWK retaliated which resulted in her death or something. CWK, being a victim of bully was traumatised and thus reprised her memories. The sister's reaction after seeing the portrait of CWK probably triggered her memories of witnessing how CWK was frequently bullied and abused/neglected, or that she had also witnessed CWK's retaliation. Her own mother probably favoured the other sister, and blamed CWK... and maybe committed suicide. This further traumatised CWK. which prompted her father to plant fake memories of her. He probably felt that its better that CWK forget about this incident and could grow up with happier childhood memories. Im also suspecting that her stepmum is actually her auntie, her mum's sister. She might have witnessed how her sister favoured another child over CWK, and how CWK had to beg for mercy everytime she got punished or blamed. I feel that the stepmum seems cold to CWK, like she's only doing things for CWK and being a mother to her coz she doesn't want to be judged by society, or that CWK's dad made her promise to do so before he died. And if the sister in hospital is indeed younger than CWK, then its possible that she's the biological daughter of stepmum. Hence she blamed the state of her daughter and husband's death on CWK. She might even be blaming her sister's death on CWK too. CWK also said something strange... that she really like stepmum when she first saw her and hope that she likes CWK too (okie so this kinda overturn my theory that stepmum is actually her mum's sister but nvm). Usually, kids probably wouldnt like the new mum or dad coz itd feel that the new person is taking the place of their beloved parents. So it seems that CWK wasnt loved by her biological mum, hence she hope that she could receive the love from her new mum. As for the identity of RC... its pretty obvious its not CWK and im so glad for it. Many had guessed that it could be the sister in hospital, but i dont think that is the case. For a plot this brilliant (atm), i dont think they are going to go with CWK having split personality (yeah not true! ), or that the sister is just pretending to be in vegetative state. I would like to believe that hospitals are not that dumb to not notice that. Hanna's father was murdered on the very day that Hanna was brought back to the dog farm means that he knew exactly when that would happen, and that it is dangerous for Hanna to be with her father for even a day... Ruling out that RC is a character that has yet to reveal his face, i am guessing that he is the counselor friend of CWK. Although i said that, i havent figured out why would Hanna keep mum about RC's identity after witnessing her mum being murdered. sf Dec 28 2018 2:52 am I watch this drama even without being translated. The plot is interesting the lead actress is very good I have no issue with the other actors so I watch this drama with interest. The ratings don't influence me at all. Kath Dec 28 2018 1:25 am I don't care what kind of rating other people would give this show. All I know is that it sure is one heck of a good mystery drama. 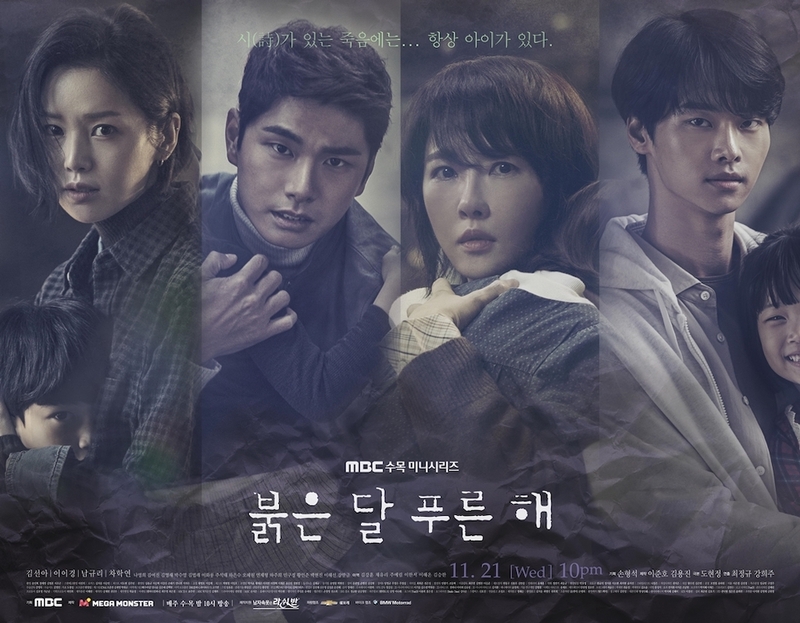 Originally watched it because of N, but just like Tunnel (also one of his previous dramas), I seriously enjoyed it, even though the cliffhangers are so stressful most of the time xD The cast are all good, which makes you question if one of them is really Red Cry because each one of them are sort-of two-faced and the plot is so intriguing and you'll get so into it as if you're a detective yourself. Definitely worth recommending!!! Ningtyas Dec 27 2018 6:46 pm I think the Red Cry is Cha Woo Kyung's Step Mom. Cha Se Kyung knows all the truths. And when Cha Woo Kyung mention about incidents around her, Cha Se Kyung responded. luvly99 Dec 27 2018 12:47 am I really love all of the character and every plot is beautiful!! Ran Dec 26 2018 10:58 pm I think this drama doesn't get a good rating because there are other k-dramas that actually casts by more popular Korean actors and actresses, running at the same time. I don't know the story about the other k-dramas, but I prefer to watch this kind of drama and salute for Kim Sun A, Li Yi Kyung, every actor, actresses, and the crew for making this drama not only the story's very interesting but also there are many moral value specially about children on it. KEEP ON THE GOOD WORK, FIGHTING!! Lily Dec 21 2018 9:35 pm This drama is so great, I dont get why the rating is low. This is really cool. Well written, well acted. K Dec 16 2018 3:15 am I think redcry is Cha Se kyung, Cha Wook kyung's sister. Haha! It's just a hunch. It's impossible at first because she is being shown as in a coma state but when the drawing of the girl was shown to her accidentally, she reacted like she was surprised and emotional. It's impossible for patients who are comatose to react that way because even if they can open their eyes, they have a flat affect. And it's possible she knows everything about Cha Wook Kyung's daily life because she might have shared her daily life to her comatose sister just by talking to her. Also during the earlier episode,Cha Wook Kyung was surprised to see her sister's eyes open, it felt like a foreshadowing of the forthcoming episodes to come. K Dec 16 2018 2:31 am I don't understand the low ratings at all. This is such a nice drama the set feels so eerie like a movie and the actors act naturally without any force. Anyway, Cha Wook Kyung seems like a good fit to be a killer with all her repressed memories and emotional burden being hidden inside. If it's not her, it may be her sister. Because when she accidentally saw the drawing of the girl she blinked many times and her eyes were tearing up. People who are comatose can be aware of their surroundings but are not able to show emotions or react because the autonomic nervous system functions are also depressed when you are in a coma state. I also think both of them suffered the same abuse when they were children. Lori Dec 14 2018 4:34 pm @Sooyi, your assumption actually makes sense. Comes to think of it, no one else has access to woo kyung's poems collection on her shelves other than those close to her. The detectives always said murder happened around woo kyung's center all the time. What if Red Cry was on killing spree not because he hates child abusers, but instead hate woo kyung and her poems? Sooyi Dec 14 2018 7:14 am What if Woo-kyung's ex-husband was Red Cry? 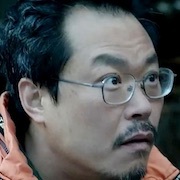 It's because in episode 13-14, Woo-kyung wondered how Red Cry had access to information about her sessions with So-ra's mother and then it was revealed that during computer security checks, all the data from the computers of her workplace was collected and was given to Woo-kyung's boss. And he said that his administrator IDs were known to several people. Anyway, Woo-kyung's ex-husband happens to be the Vice President of an IT (Information Technology) company, and I don't think his job title is just some decoration after the revelation about the data. Sunny Dec 13 2018 11:04 am What is actually cha se kyung role? I saw that she was looking weirdly at the cha woo kyung kids imagination . There must be some connection between them. Whk is that kid actually? Karin Dec 07 2018 5:48 am i wanna see more abt detective jeon soo young..but story only focus how detective kang protect wookyung n the children?really wookyung stepmother is evil..but how can wookyung go left her own daughter to her while she busy with other childs at outside.n last thursday i felt yikyung hv interest toward kim sun-ah.and how can he left her just go with the conselor.even he put her safely to her home..its make me uncomfortable, is it make sense to hv romance?pls focus with the new cases evryday!! how can the detective to investigate with no asistant but together with conselor only?its not like working but dating! gal Dec 02 2018 1:38 pm I want to see Park Bok Ja so i will watch it. Ohyeah.. Dec 01 2018 6:17 am I just love this drama. The acting is superb! The storyline keeps me wanting more!!! But, I hate the husband for leaving Cha woo kyung when she is in a such fragile situation. Are all men like that? Hahaha... selfish husband indeed. All he thinks off is is "needs". She is better off without him and she becomes stronger and believes in herself. Real time situation! A Man Nov 29 2018 4:11 pm It's not everyone's cup of tea, but it really is intriguing. Te first four episodes had a really intense feeling that is really interesting! The writer got me thinking of what would happen next but none of my imagination was right. A bit confusing somehow, but really makes me curious, so kuddos to the writer so far! For you thriller or mystery seeker, here's your cup of tea! Oh, and if you have watched Signal, this drama has that kind of intense vibe, but obviously with a totally different story line. And the last thing I want to point out is that Nam Gyu-Ri is so beautiful, it is a refreshing point of all the 'frustration' in this drama. strangeneko Nov 24 2018 2:05 am hello, can anybody tell me the title of the song when kim sun ah was driving in the tunnel in eps 1 ? strangeneko Nov 24 2018 2:01 am hello, can anybody tell me what's the title of the song when kim sun ah driving her car in the tunnel and then got a car accident in eps 1 ? Lawliet Nov 23 2018 5:40 pm After watching the 3rd and 4th episodes, i gotta say, this drama keeps taking a darker turn every episode. The writers aren't holding back and are not afraid to show scenes which can even be called disturbing for some. I feel ji hun and soo young ( the male and female police officer respectively) and their personalities in the drama help to make things a little bit lighter. However, the plot is very interesting and keeps you hooked. I love how every scene makes you feel some kind of strong emotion. Anger, grief, sympathy. Very raw and no sugar coating. This drama may not be for everyone but i would recommend everyone to give it a watch and see for themselves. Bdxpelik Nov 20 2018 10:16 am Yes! Yi Kyung in a serious drama! I can't wait to see how I can forget about the silly and immature actor Lee Jun Ki and GWAENCHANA GWAENCHANA. That aside, a mystery thriller involving children and a soon to be mother? This outta be great. And heartbreaking no doubt. Addictsakdrama Nov 16 2018 8:52 am @CreatorWu yeah! ?I find it amazing and cool but I hope to see son seung won in another drama too like them! Karin Nov 15 2018 8:03 am who is girl which her clothes grabbed by detective kang hand? In 00:46 in third teaser?is it kim sun-ah or nam gyu-ri?? YesMe Nov 06 2018 8:04 am Lee ki young..i still have his image lingers as 'stupid go daek jin' in my go back couple ? Asyra Oct 01 2018 8:33 pm Omg! Can't wait. I love this both main leads and the plot is quite different and rare. GZB Sep 28 2018 9:02 am Kim Sun Ah, please confirm!! neea Sep 28 2018 6:39 am yes, yes ,yes. Please accept Kim Sun-A.